Regenstrief Institute is the home of three centers which bring together a talented cadre of scientists and research staff. We have built inter-disciplinary collaborative teams to investigate and develop ways to apply innovative technology, research, and models and measures of care to improve the health and outcomes of patients – in our community, region, nation, and world. Each center maintains a core focus, which guides our teams in their contributions to create pathways to better care and better health. The William M. Tierney Center for Health Services Research advances health care and patient experiences for all of us. 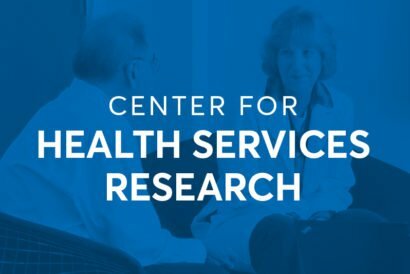 HSR's wide-ranging, interdisciplinary work results in transformative best practices on a scale that allows for sustainable impact for quality of care, clinical outcomes, and the value of the medical experience for clinicians, patients, and administrators. 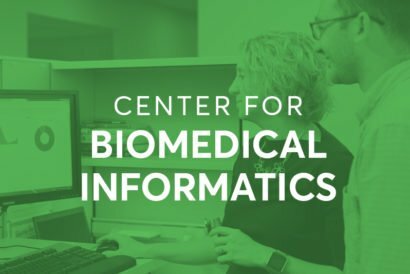 The Clem McDonald Center for Biomedical Informatics pioneers solutions in health information to help clinicians serve patients. CBMI is a global, collaborative research and learning organization that develops and evaluates innovative solutions for improving patient care and translates them into cost-effective, operational systems, including a dynamic electronic medical record system. 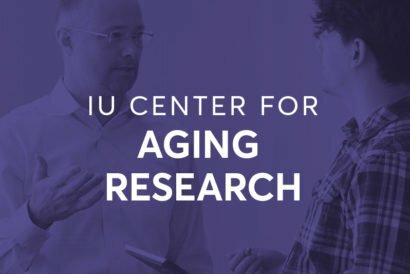 IU Center for Aging Research transforms health care for medically and socially vulnerable older adults by testing and implementing innovative strategies that improve the quality and efficiency of healthcare and self-care for this population. Researchers in IUCAR enjoy national and international recognition for their expertise in clinical research on the aging brain, health promotion, and innovative models of collaborative care.